For those children in BC and Yukon requiring medical attention for any of the orthopedic and other paediatric specialty conditions* we treat – including transportation, accommodation, all associated medical treatment, and follow-up – are provided at Shriners Hospitals for Children. Depending on a child’s diagnosis, care could be directed through Shriners of British Columbia & Yukon Child Services Society to any one of the 22 Shriners Children’s Hospitals; however, the majority of children in BC and Yukon referred to us are treated at Shriners Children’s Hospitals in Portland or Spokane, and occasionally Montreal. A physician’s referral is not necessary; however each case is reviewed by a Shriners Hospitals’ doctor to determine the best course of treatment. All appointments are prioritized on the basis of medical need. Wait times for appointments are relatively short. Accommodation is provided, at no charge, for patients and their caregivers while they are receiving treatment at one of our Shriner’s hospitals. Accommodation expenses are paid based on one child patient plus one parent or caregiver. The accommodation will be arranged for the time while your child is receiving treatment at the hospital and, if you do not live in Vancouver, we will arrange overnight accommodation there, if needed, as part of your trip to Portland or Spokane. Please call our Executive Assistant, Child Care Services at 1-800-661-5437 ext. 122 or 1 -604-291-7707 ext. 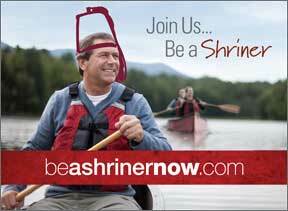 122 or e-mail services@bcshriners.com to discuss your accommodation arrangements. Transportation expenses are paid based on one child patient plus one parent or caregiver. Families who drive themselves and travel by car to either Portland or Spokane, will have their fuel costs subsidized through our Travel Subsidy program. In some cases, families will be provided with air transportation to the location of the Shriners Hospital where their child is receiving treatment. 1 Shriners Hospitals specialize in neuromusculoskeletal and orthopaedic conditions (ie, Scoliosis, Spina Bifida, Cerebral Palsy, Spinal Cord Injury, Osteogenesis Imperfecta—“Brittle Bone Disease”); cleft lip and palate; burn injuries. Many other conditions are also considered and treated. Call or email as we may be able to help.